Fun fact: The town of Rugby is the geographical center of North America. A rock obelisk about 15 feet tall, flanked by poles flying the United States and Canadian flags marks the location. Fun Fact: On July 25, 2000, Governor Keating announced plans to construct a dome on the Oklahoma State Capitol Building. Fun Fact: The first ambulance service was established in Cincinnati in 1865. 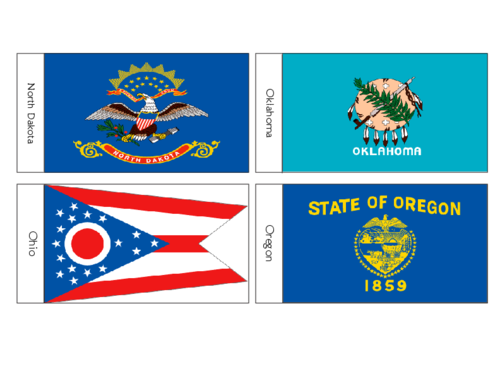 Fun Fact: Oregon’s state flag pictures a beaver on its reverse side. It is the only state flag to carry two separate designs.